Dr. Oliver Geden (@oliver_geden) is Head of Research Division EU/Europe at the Stiftung Wissenschaft und Politik (SWP) (German Institute for International and Security Affairs) in Berlin. Two years after the climate summit in Paris, euphoria has largely evaporated, writes Oliver Geden, Head of Research Division EU/Europe at the German Institute for International and Security Affairs (SWP). There has been little sign of additional ambition in climate change mitigation since. One fundamental reason, according to Geden, is that the target of “holding the temperature increase to well below 2 degrees Celsius” does not commit countries to any specific action. The objective should be changed to a zero emissions target. This would provide clear, transparent directions and make critical evaluation possible. The EU, notes Geden, could start by setting the right example. Until the Paris Agreement was adopted in December 2015, the United Nations climate change mitigation policy had only one objective: holding the temperature increase to below two degrees Celsius (°C). In Paris the target was slightly tightened (“well below 2 °C”), and, following pressure by developing countries, it was agreed to pursue efforts to limit the temperature increase to 1.5 °C. 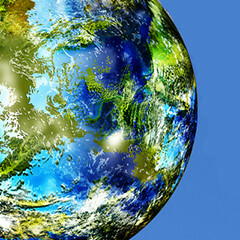 The 21st Conference of Parties (COP21) to the UN Framework Convention on Climate Change (UNFCCC) also decided on a third climate-protection target, namely “to achieve a balance between anthropogenic emissions by sources and removals by sinks of greenhouse gases in the second half of this century” (Article 4). This statement is generally interpreted as targeting greenhouse gas neutrality or zero emissions. It does not mean that all emissions without exception are to be reduced to zero. In some areas, this would be technically impossible (e.g. agriculture); in others it would be too complex or costly (e.g. aviation). The term of balance, which is central to Article 4, refers to the concept of compensating for residual emissions by using technologies that can extract emitted carbon dioxide from the atmosphere (carbon dioxide removal, CDR). The hierarchy of the three mitigation targets remains unclear. The political and scientific debate has so far been dominated by the two temperature targets. The text of the Paris Agreement also explicitly declares that the purpose of the zero emissions target is to meet the 2 °C and 1.5 °C objectives. Clearly, these temperature targets can only be attained if global emissions do drop to zero eventually. However, the vague time frame of “in the second half of this century” leaves substantial room for manoeuvre in climate policy. Nor has climate science unequivocally identified the point in time by which global greenhouse gas neutrality would have to be established to attain the Paris temperature targets. All statements on this subject are based on assumptions that the political sphere rarely reflects on, or in some cases does not even know. Not least is this due to the way the temperature targets have been defined. Despite widespread assumptions to the contrary, in climate policy 1.5 °C can no longer be interpreted as a strict limit that must not be exceeded at any point: average temperatures have already risen by about 1 °C above pre-industrial levels. All scientific scenarios accept that there will be a temporary “overshoot” of the temperature threshold, but disagree about its extent and duration. Whilst the Paris Agreement is rightly viewed as a diplomatic breakthrough, little has happened since then in terms of the enormous mitigation challenges. While emissions have been basically flat between 2014 and 2016, recent projections foresee an increase of 2 percent in 2017.. Even in the unlikely event that all the Paris signatories fulfil their voluntary national pledges, emissions would still be expected to continue rising until 2030. The UN environment programme UNEP predicts a temperature rise of 3.2 °C by 2100 – in other words, well above the agreed thresholds – unless the current climate policy course is changed. Long-term climate policy only works if it pursues ambitious objectives. These also need to be precise, evaluable, attainable and motivating, or they will remain ineffective. A problem-centred temperature target such as 2 °C can easily be communicated as the threshold to dangerous climate change. However, it clearly lacks the necessary characteristics to actually guide the actions of governments and business as well. Even if targets such as “well below 2 °C” or 1.5 °C were defined more precisely – for instance, if no temporary overshoot was allowed for – it would not change the fact that temperature targets are directed at the earth system as a whole. They do not state the amount of emissions reductions any individual country is supposed to provide. It is therefore relatively easy for governments to support ambitious global targets while doing little against national climate change in practice. Since the Intergovernmental Panel on Climate Change (IPCC) declines, with good reason, to deliver a scientific formula for fairly distributing mitigation obligations among individual states, every government is able to declare confidently that its national pledges are in line with global temperature targets. As it stands, mitigation efforts can only be critically evaluated at the global level. However, no single country can be made responsible for the looming breach of the 2 °C or 1.5 °C target. Compared to temperature thresholds, targeting greenhouse gas neutrality is noticeably more precise, easier to evaluate, politically more likely to be attained and ultimately more motivating too. Since this goal directly tackles the actions perceived as problematic, their effectiveness at steering policy can be expected to be much greater than “1.5 °C” or “well below 2 °C”. A zero emissions target shows the policymakers, the media and the public fairly precisely what needs to be done. If global greenhouse gas neutrality in the sense of Article 4 of the Paris Agreement is interpreted to mean that all signatories have to gradually reach “net zero” between 2050 and 2100, then they must all be measured against the same yardstick. Any differentiation between these obligations – for instance, between industrialised nations, emerging economies and developing countries – can only occur along the time axis. Under the “bottom-up” approach of the Paris Agreement, governments make that decision for themselves. Each country’s emissions must first peak (which is already the case for 49 of them), then continually decrease and finally attain zero. Measured against this target, it is easy to make mitigation action transparent – not just of national governments, but of cities, economic sectors and individual companies as well. Whoever ignores the target will not be able to deceive others: it is relatively easy to ascertain whether the respective emissions are going up or down. Wherever greenhouse gas neutrality becomes the socially accepted norm, new fossil-fuel infrastructure would be very hard to justify. A zero emissions vision could also kickstart a race to reach the zero line before others. Some countries have already taken up the challenge. Sweden, for instance, hopes to reach zero by 2045. The United Kingdom has at least declared its willingness to announce its zero emissions target soon. Obviously, even a zero emissions target is no guarantee that all emissions reduction measures will be implemented as planned. Given the perspective of several decades, such a guarantee cannot exist. Since greenhouse gas neutrality is primarily about setting a clear direction, rather than positing an imaginary border between “acceptable” and “dangerous” climate change (namely 2 °C), its attainability is not a question of either/or, but of sooner/later. It thus avoids definitive failure, which would have a demoralising political effect. But targeting zero emissions would provide clear and transparent directions for all relevant actors. It would bring out inconsistencies between talk, decisions and actions much more clearly than temperature objectives such as 2 °C or 1.5 °C can. The UNFCCC should therefore give the target of greenhouse gas neutrality much more weight in future. 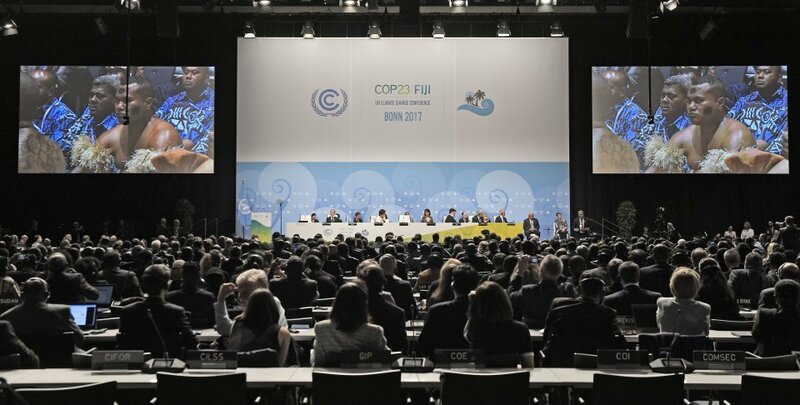 It could start with the facilitative dialogue planned for 2018, whose rules are being set at the COP23 in Bonn. The dialogue is intended to boost countries’ ambitions and to lead to strengthened ‘nationally determined contributions’ under the Paris Agreement. Protest march at Bonn climate summit. For the EU – which, like Germany, currently pursues the target of reducing its emissions by 80 to 95 percent by 2050 – zero emissions would be the next logical step. Longstandig climate policy pioneers cannot seriously question the principle of aiming for zero. But deciding on the exact timing would be politically controversial. Currently, it seems unrealistic for the EU to agree on 2050 as a target year (as recently suggested by the European Parliament’s ENVI and ITRE committees, in their vote on the governance of the Energy Union on 7 December). In 2018 the debate about long-term EU climate targets should regain momentum, fostered by the new version of the Climate Roadmap first presented in 2011, which is expected in autumn 2018. The European Commission’s planning document follows the publication of the IPCC Special Report on the 1.5 °C target and should be seen as the European contribution to the “facilitative dialogue”, which will conclude in December 2018 at the COP24 in Katowice, Poland. However, it is not the Commission which will be making the decision on the EU’s new long-term strategy, to be submitted to the UNFCCC by 2020. Its roadmap is merely a carefully calculated proposal. The final decision rests with EU member states; de facto it is likely to be made by the European Council. It is reasonable to suppose that the German Federal Government will champion an ambitious target at the EU level, which it will then transpose into its national climate policy as well. Setting a target of greenhouse gas neutrality would conceptually change European climate policy in two ways: it could become both more ambitious and more pragmatic. The target of an 80 to 95 percent emissions reduction (usually paraphrased in Germany as “extensive greenhouse gas neutrality”) allows many businesses and member states to see a substantial share of their emissions as part of the remaining five to 20 percent, to suggest that they are only partially affected by the current climate policy pathway. This is especially true for industries and member states where very ambitious reduction measures encounter substantial technological, economic or political obstacles. This constellation is also advantageous for proponents of “extensive greenhouse gas neutrality” in that they can focus their proposed solutions essentially on expanding renewables and increasing energy efficiency. They do not need to discuss unpopular and costly measures – such as capturing and storing CO2 in industrial processes, and using synthetic fuels or negative emissions technologies. A reduction target of 100 percent would push both sides out of their comfort zone and greatly increase the level of seriousness in climate policy. This article is a shorter version of the full article that was first published on SWP Comments. It is republished here with permission. Thank Oliver for the Post! This constellation is also advantageous for proponents of “extensive greenhouse gas neutrality” in that they can focus their proposed solutions essentially on expanding renewables and increasing energy efficiency. Oliver, I feel compelled to point out your oxymoron here. Expanding renewables does nothing to ensure greenhouse gas neutrality. We can safely assume an intermittent supply of electricity will remain unacceptable; “storage” is exhorbitantly expensive, even in developed areas of the world; storage could be free, but there is no amount sufficient to keep a grid reliable and operational. Thus without nuclear, fossil fuels will be required to fill in the gaps. Efficiency is increasingly and erroneously being considered an unlimited resource. It’s not – it’s a ratio (output/input) and as such, it’s limited by thermodynamics to a finite maximum. Generally, it follows a law of diminishing returns – improvements in efficiency gather the low-hanging fruit first, but eventually the tree is bare. Thus efficiency gets us no closer to zero emissions either. As long as these misunderstandings persist, we’re only pushing our ultimate goal farther out of reach. Can Germany get an electoral majority for a zero-emission policy when it’s bet the farm on lignite to replace its nuclear fleet… and needs the votes of miners? Great points. It is hard to see how moving the grid towards more flexible generation (i.e. fossil gas fired plants) along with renewables can be viable, unless the world accepts and masters CC&S (and the associated verification challenges). Of course there is always the well proven nuclear solution, which requires no long term sequestration of giga-tons of gases (just a tiny amount of easily monitored & contained solids). Reducing the population to one billion by 2100 would be a far more easily achieved goal and far less expensive. At some point we have to be brave and face reality. In 2016 wind generated 5.6% and solar .9% of total US generation. Wind subsidies are ramped down to disappear end of 2019 and solar ramped down to zero end of 2022. I don’t think many states have renewable mandates to satisfy, however I have not taken time to check this out. Though the cost of wind and solar will continue to move down slowly during that time, I think the new tax bill affecting tax equity financing and etc, plus elimination of the CPP and the Rick Perry 90 day mandate will put significant pressure on wind and solar investment. Not much more wind and solar in terms of percent of total will be built by 2022. To continue driving down carbon emissions the battle may be lost against coal and gas, unless we mandate nuclear power as was done with renewable or my preference enacting a very high revenue neutral carbon tax. It could be started with coal and gas used for power generation, then moved to oil and eventually to residential,commercial and industrial gas use. So by reading this site and the member feed back, my opinion continues to evolve as I get a better understanding of the complexities. For the EU – which, like Germany, currently pursues the target of reducing its emissions by 80 to 95 percent by 2050 – zero emissions would be the next logical step. The world and EU are not the same thing…the author only talks about how EU should commit itself to zero emissions. The title is misleading. 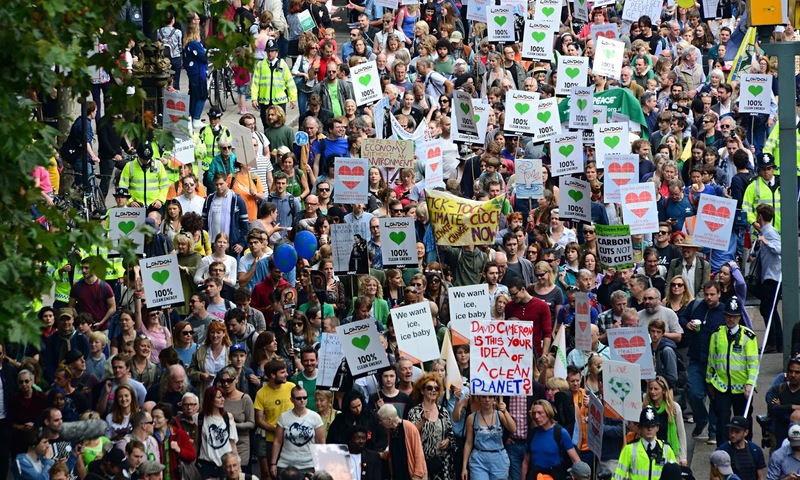 Experts have declared that attaining 1.5°C would require zero emissions globally by 2050. Germany currently pursues the target of reducing its emissions by 80 to 95 percent by 2050 – zero emissions would be the next logical step…..It is reasonable to suppose that the German Federal Government will champion an ambitious target at the EU level, which it will then transpose into its national climate policy as well. The fact is that Germany is failing to reach its current emissions targets which the author regards insufficient. German emissions rose in 2015 and 2016 and will probably rise in 2017. Why, then, would Germany champion even more ambitious target, such as 100%? EP, more evidence nuclear’s economy could be its downfall. When electricity generation uses little fuel and fuel is cheap, there’s little opportunity for profit. Consumption – moving product – is the key to profitability. It’s what makes Wal-Mart and Exxon-Mobil two of the biggest companies in the world. Lignite isn’t exactly a jobs program any more either. Bucket-wheel and dragline excavators move immense amounts of material with just one operator. The highly-skilled, highly-paid workforce at a nuclear plant fits the German model better… yet for some reason the public doesn’t get this. Maybe not jobs, but what remains for coal producers RAG-AG and RWE is a lot of coal to sell. I’m not familiar with the regulatory mechanism German utilties use to pass fuel costs on to customers, but if it’s anything like the U.S. with natural gas, they might as well be mining gold. 1) The world CO2eq, all sources, including Land Use, Land Use Change and Forestry (LULUCF), are on a “business as usual” trajectory to become about 64.7 b Mt by 2030. If so, the increase above pre-industrial would be about 4.3 C by 2100. There has been a reduction in the rate of increase of emissions during the past few years. The IPCC BAU CO2eq projection for 2030 is based on a higher CO2eq growth rate than the actual growth rates in 2015 and 2016. However, a greater growth rate is expected in 2017. See URL. World investments in RE systems have averaged about $280 b/y for the 2011 – 2016 period (6 years). That level likely would lead to CO2eq emissions of about 64.7 b Mt by 2030. China has spent about $80 b/y during the past 3 years to finally deal with its horrendous pollution problems. 2) The world CO2eq emissions, all sources, would be about 58.9 b Mt by 2030, with full implementation of all policies and pledges made prior to COP21. If so, the increase would be about 3.7 C by 2100. Investments of at least $600 b/y, starting immediately, would be required to achieve the IPCC trajectory of 58.9 b Mt by 2030. See note 1. 3) The world CO2eq emissions, all sources, would be about 55.2 b Mt by 2030, with full implementation of UNCONDITIONAL COP21 pledges by 2030, per IPCC. If so, the increase would be about 3.2 C by 2100. 4) The world CO2eq emissions, all sources, would be about 52.8 b Mt by 2030, with full implementation of CONDITIONAL COP21 pledges by 2030. If so, the increase would be about 3.0 C by 2100. 5) The world CO2eq emissions, all sources, would be about 41.8 b Mt by 2030, with an ADDITIONAL 52.8 – 41.8 = 11.0 b Mt of CO2eq emissions reduction by 2030. If so, the increase would be about 2.0 C by 2100. That additional reduction is not trivial, as it is equivalent to about 11 times the total annual emissions of the entire EU28 transportation sector. 6) The world CO2eq emissions, all sources, would be about 36.5 b Mt by 2030, with an ADDITIONAL 52.8 – 36.5 = 16.3 b Mt of CO2eq emissions reduction by 2030. If so, the increase would be about 1.5 C by 2100. Investments of at least $1.5 trillion/y, starting immediately, would be required to achieve the IPCC trajectory of 36.5 b Mt by 2030. I could not agree more Dr. Geden. We as a collective have lost ground over the past few years and have not met our combined emissions reductions targets. With this in mind, I suggest we move over to Zero Carbon Fuels where fuels are employed in the activity of energy production and transportation. This is actually feasible with a little applied engineering. A zero emissions target can then be broken down into annual targets. My preference is a 10% year on year reduction which gets you to (close to) zero by 2050 or thereby. The first few years are relatively easy on a personal level eg ride sharing to work 1 day per week, reducing red meat consumption, energy efficiency measures. But as things get tougher the actual (quantum rather than %age) emission reduction decreases. This is also when we start to rely on “new technologies” to help out. The same can be applied to businesses. It’s the same old principle – How to eat an elephant – one piece at a time. “Brave” as in Brave new world? We licence gun ownership, vehicle driving, sale of liquor. Basically anything that has potential for harm to others. So why not breeding? Technically very simple, at least in developed nations. 1. All the studies to-date show that outside of the US no other major country is meeting their meager carbon reduction goals. So now pushing those goals to “0” is expected to be more successful? 2. With the exception of another push for newables, this article is devoid of any recommendations for how to achieve any climate change goals. Forget the fact that renewables don’t appear by magic and they are NOT free of a greenhouse gases. 3. Unfortunately this article also fails to mention that all prior studies have concluded that no amount of investment, even if all countries participate, would materially reduce any expected climate change temperature increase. 4. Finally, this article fails to mention errors and deficiencies reported by numerous evaluations of the climate change models that underlie this authors concerns. The bottom line – this article is interesting but a waste of ink. I agree that strict enforceable reductions are needed. I think we need zero emissions by 2035. One other step is to ban the construcvtion of any new fossil fuel infrastructure. no more powerplants and pipelines. We shall never get to zero if we keep building new fossil fuel facilities. So we should stop in 2018. Which is already prety late,. We can safely assume an intermittent supply of electricity will remain unacceptable; “storage” is exhorbitantly expensive, even in developed areas of the world; storage could be free, but there is no amount sufficient to keep a grid reliable and operational. With improvements to grid management the amount of variable renewable energy that can be added to the grid also increases. Even storage technology is improving and dropping in price. Storage is increasingly becoming cost effective. It isn’t safe to assume anything especially looking down the road in another 10 years. Thus efficiency gets us no closer to zero emissions either. Yet another oxymoron. While it isn’t an unlimited in scope, it is a reduction in energy use and moves us closer to zero emissions. Overall it is an evolution in technology, and it really is taking small chunks out at a time over several decades. The author is trying to say we aren’t going fast enough. We may not be, but we are at least moving and improving. You are saying we don’t have the technology yet, which is also partially true. If you want to pick a point with the author, the one I would pick is on the whole zero emissions point. I don’t think you can get 180 countries on board with it at this point. Technology hasn’t improved enough to commit to it to that degree. It -could- improve that much by then, but if we can keep improving over the next 10-20 years, it may just naturally happen due to lower costs. There are definitely places where battery storage is cost effective now, and can be integrated into the grid. As we improve, the technology will improve in both price and performance. It is kind of like arguing with a semi driver over the Tesla semi. It is a short haul (regional) semi, as it works in certain cases. It isn’t designed to replace long haul trucks. IF it lives up to it’s billing, it is cost effective replacement for that segment. Not the entire market at this point. In 10-20 years, it could be the majority short haul trucks, but there are other parts to the problem, like reliability, charging infrastructure, etc. that all need to be worked out. Then part of what needed to be done for short haul trucking can be used to leverage for the long haul trucking, so add another 10 years, then add another 10 years for remote trucking, and now you are 30+ years out. It could go faster or slower, but it is just going to take quite a bit of time and a lot of work to just get the majority done. The real importance of the Paris agreement is we all decided we would try to knock off the low hanging fruit to slow the problem down, and to get cost effective products and technologies being worked on. It is a LOT easier to get to zero emissions if you have 180 countries trying just a little bit to help create the market. Once you have cost effective products it will still take at least a couple of decades to implement the improvements. But it goes a bit faster if everyone is -planning- on it. Not all the plans will work either. VW and Daimler were planning on diesels and ended up cheating on emissions. Even beyond that, you have VW and Daimler caught up in diesel emission cheating scandals. They represent a large chunk of the EUs income. Can you give us some examples of zero carbon fuels you would suggest? Hydrogen is an obvious choice. Ammonia is also a fuel that is a zero carbon fuel that has been successfully applied as fuel in stationary and mobile applications. Last week, the Department for Business, Energy and Industrial Strategy (BEIS) released its annual projections for #UK #energy and #emissions. Emissions projections until 2035 are lower than were previously assessed in 2018, largely because 2035..
After announcing the Inaugural Fantasy Energy League last month, the teams have been formed and the competition is about to begin. Before the end of the month, our 14 teams assembled-- representing experts in energy fields like policy..
Is a Zero Emissions Target More Probable? The Intergovernmental Panel on Climate Change (IPCC) published a report recently in which it finds that global warming must be kept to a maximum of 1.5°C above pre-industrial levels in order to limit climate-related impacts. To do this, global..